Calculating the estate and filing the estate tax return are important parts of the overall California estate administration process. Failure to properly do so can result in substantial fines. In the year 2013, the top tax rate for estate tax purposes is 40%. This can amount to a hefty tax bill that is due as part of the administration process. Fortunately, there may tax deduction during estate administration that can help to reduce the amount of tax that is ultimately owed. Consult with an experienced California estate attorney for guidance during this process. What Tax Deductions are Available to Reduce the Estate Tax of a California Estate? Marital deduction. All property that passes to a surviving spouse qualifies for the marital deduction, as long as it passes “outright.” The marital deduction is unlimited. Charitable deduction. Property left to a qualifying charity is deductible from the gross estate for estate tax calculation purposes. Administration expenses of the estate. 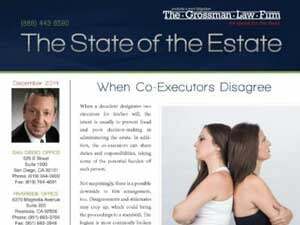 Losses incurred during estate administration. Still Confused About Tax Deductions During Estate Administration? Attempting to calculate the estate tax that is due without the guidance of an experienced advisor could be a costly mistake. You may miss opportunities that are available to you for reducing the overall tax burden, such as the deductions outlined above. In addition, be aware that a final income tax return is due in addition to the estate tax return. Our article, When Should a Final Income Tax Return Be Filed in California? provides more information on this tax. 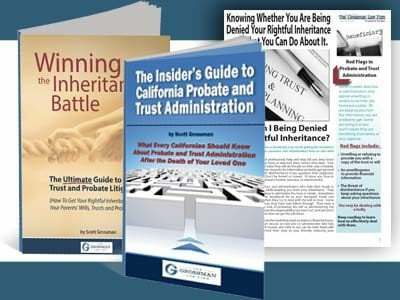 To learn more about paying the taxes due from the estate of a decedent or about tax deductions during estate administration, contact an experienced Riverside probate lawyer today. 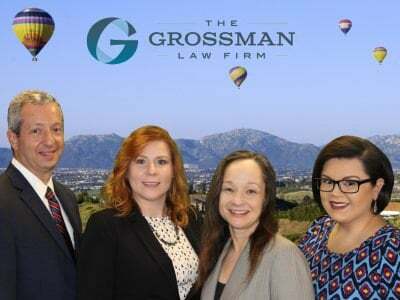 It would be our pleasure to further assist you. You may either call (888) 443-6590 for a free consultation or fill our out quick and easy contact form today.